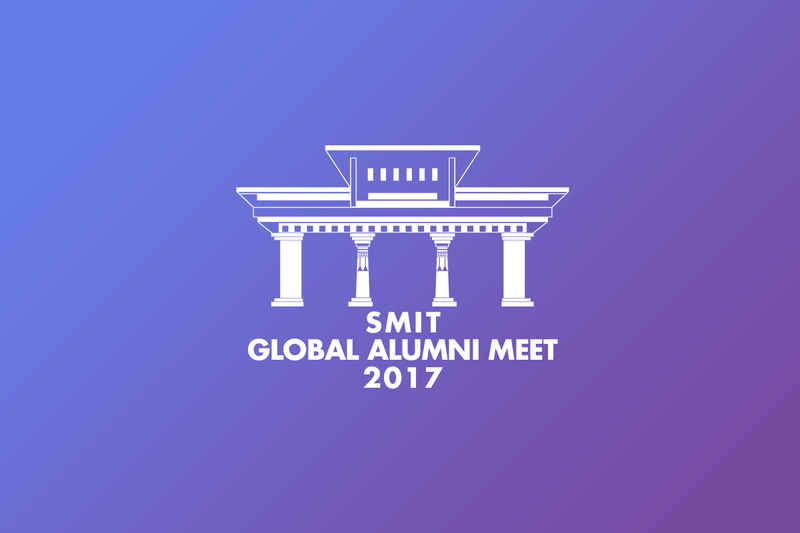 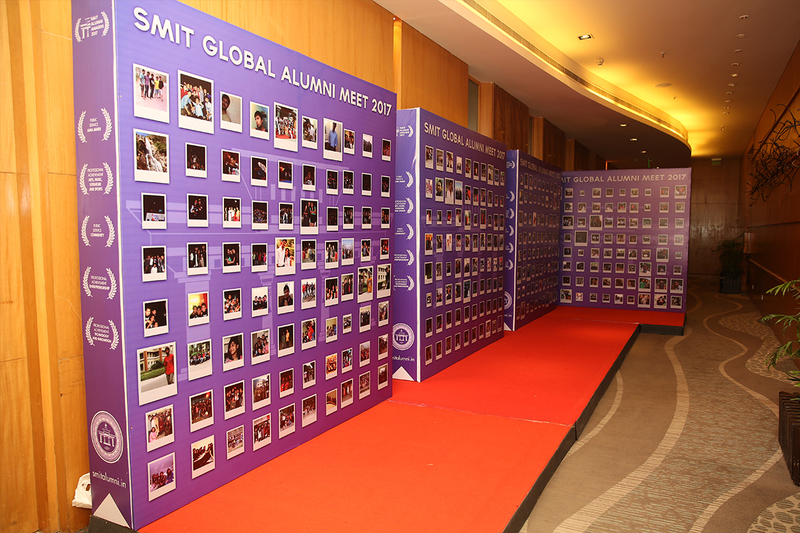 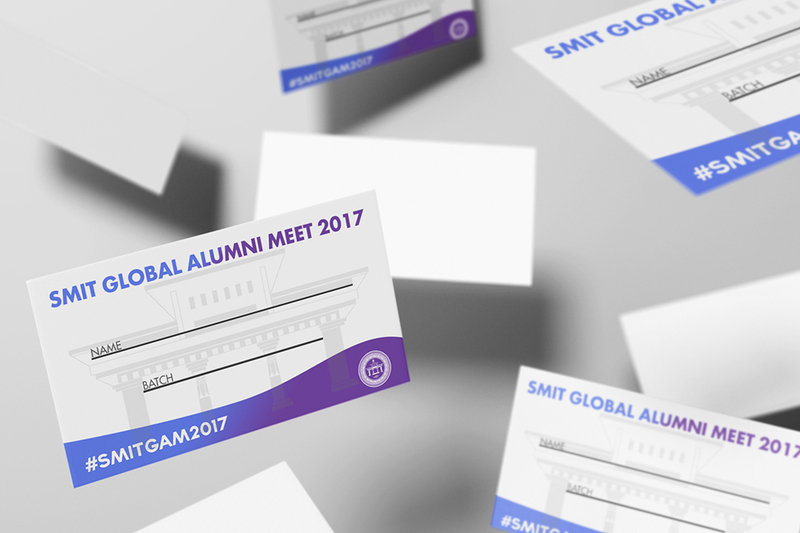 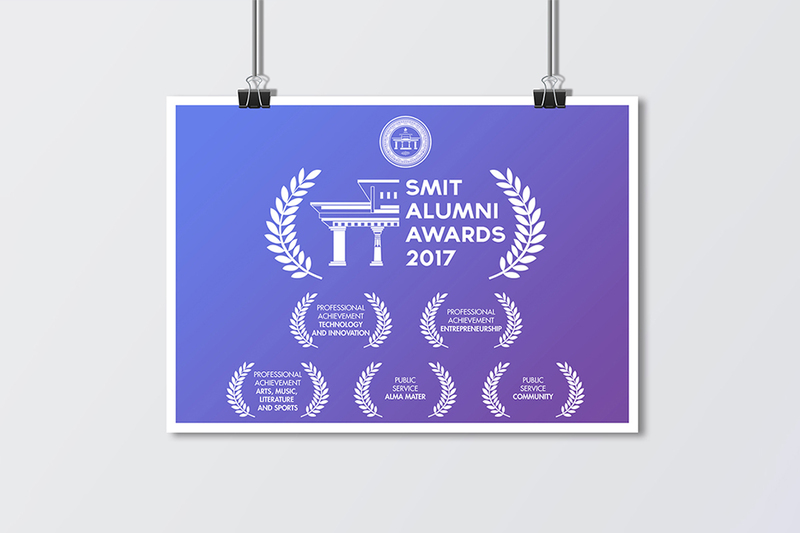 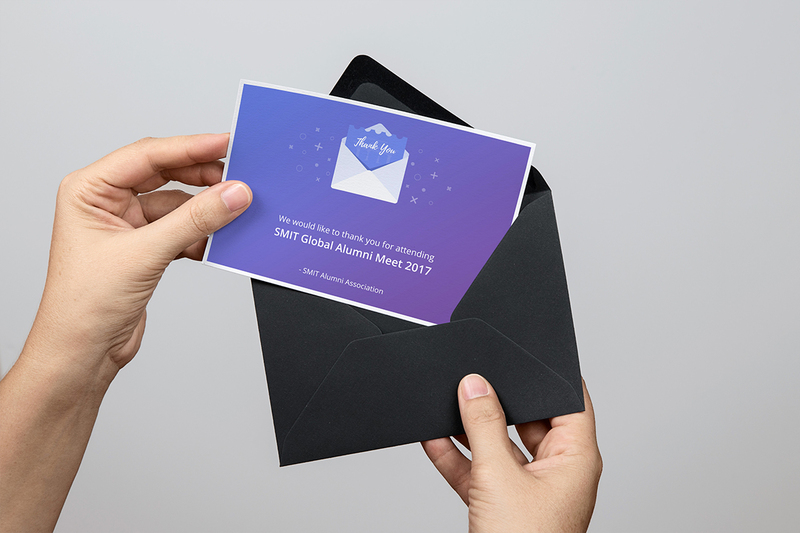 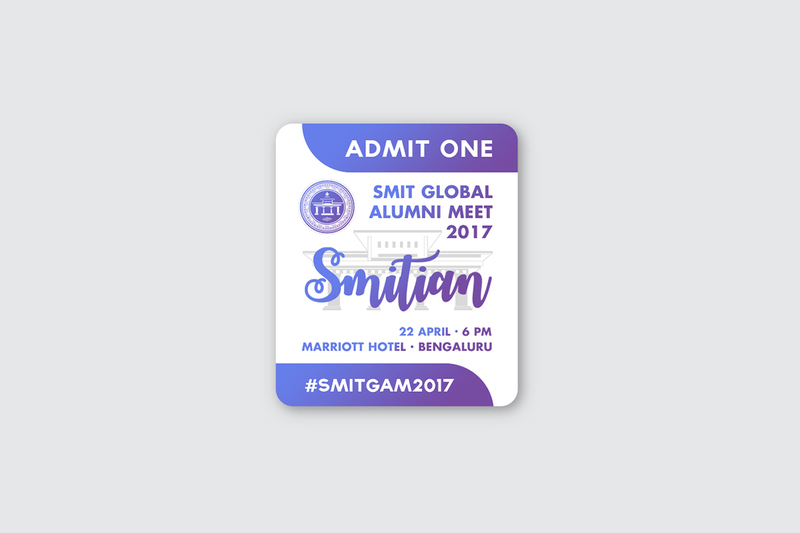 SMIT Global Alumni Meet 2017 is the Global Alumni Meet of Sikkim Manipal Institute of Technology. 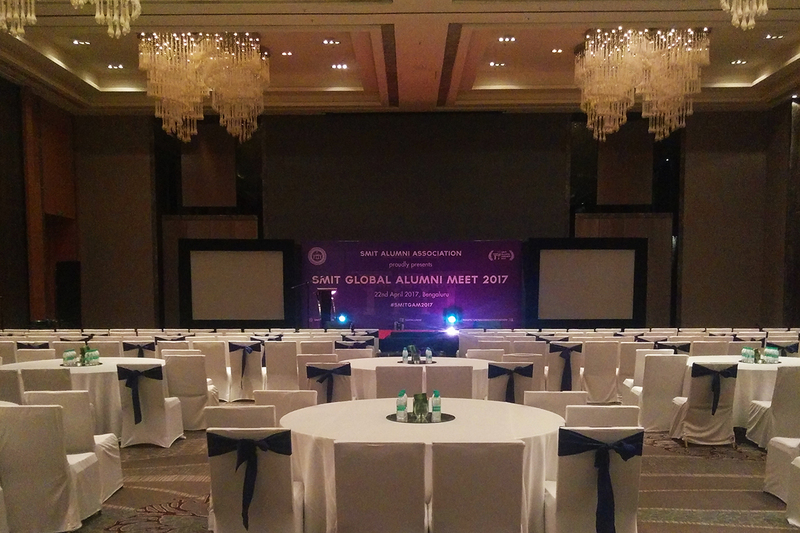 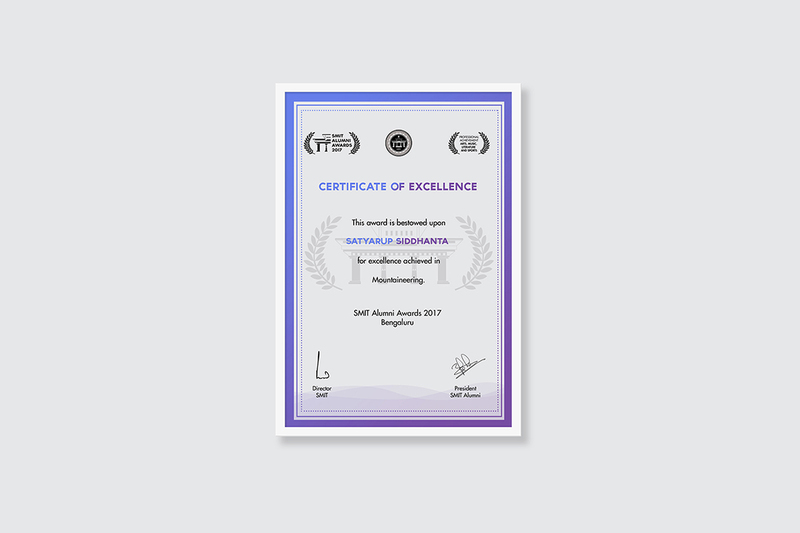 It was held at Bengaluru, India on the 22nd of April, 2017. 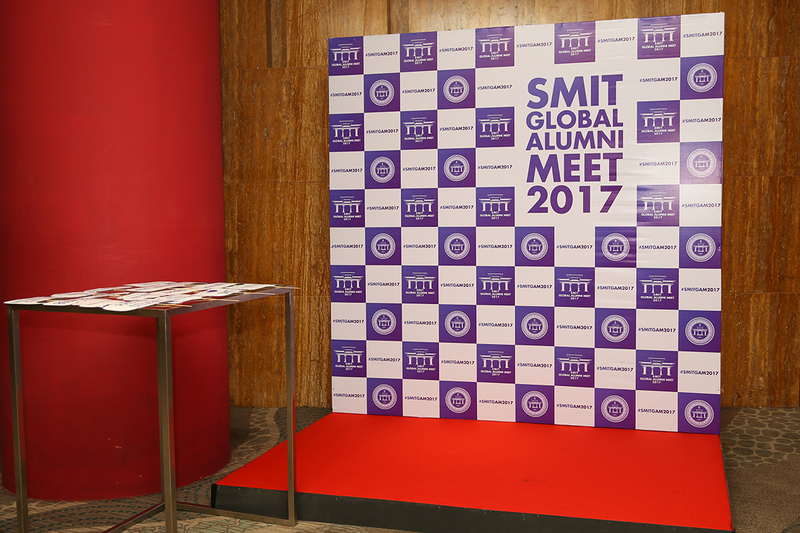 The event was organized by SMIT Alumni Association. 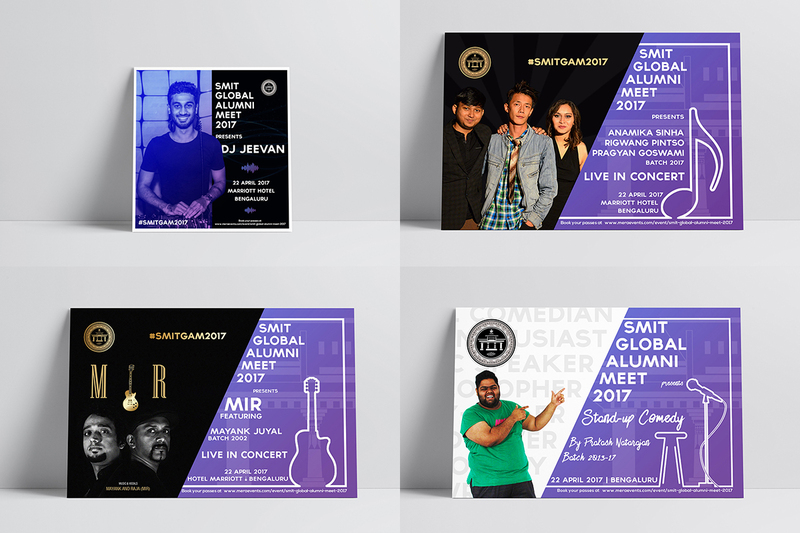 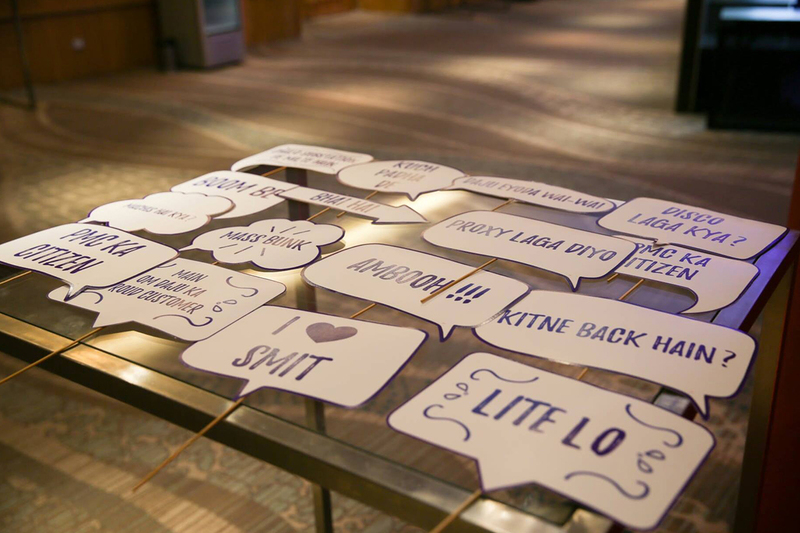 I was responsible for the branding of the event, which included the production of the event poster, event logos, social media identity, banner design, props and so on. 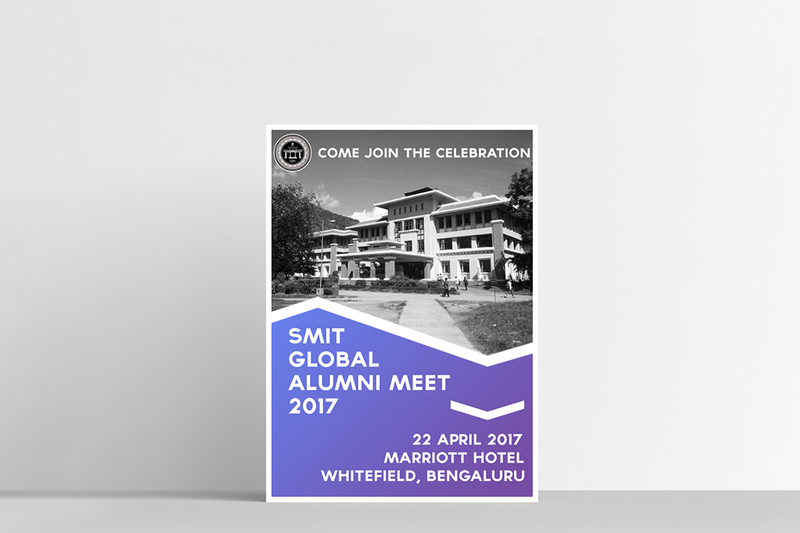 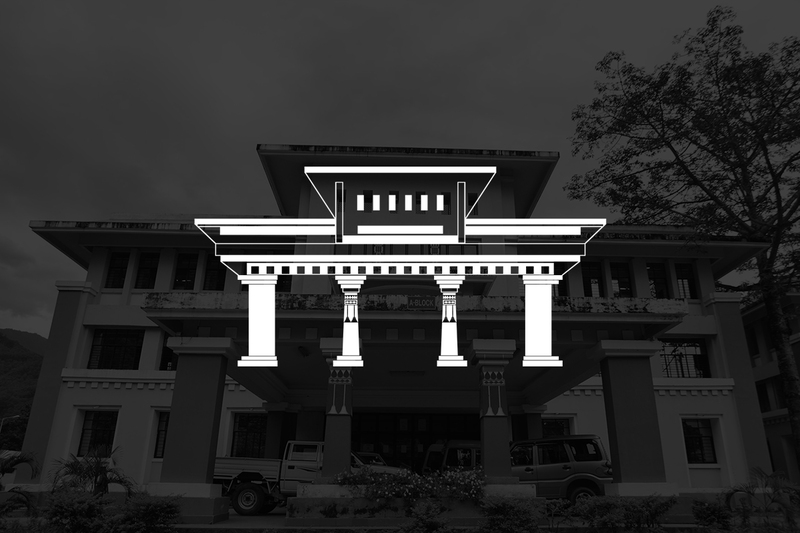 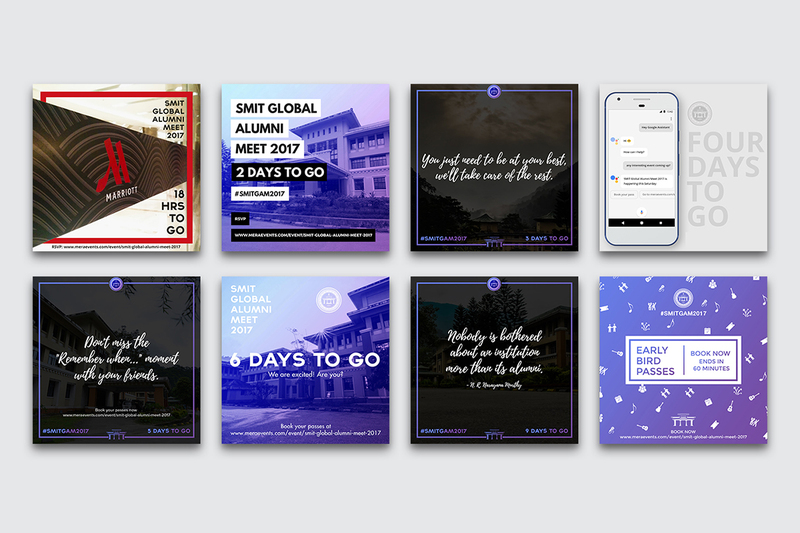 The key indicators for the visual identity, was the use of the iconic structure of the college, which is the SMIT building. 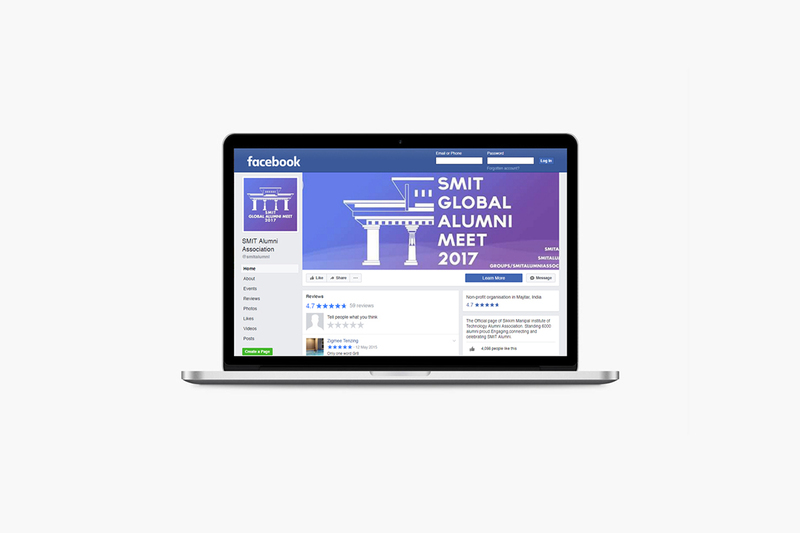 Without referring to the structure, it was difficult to communicate effectively about the college to a wide audience. 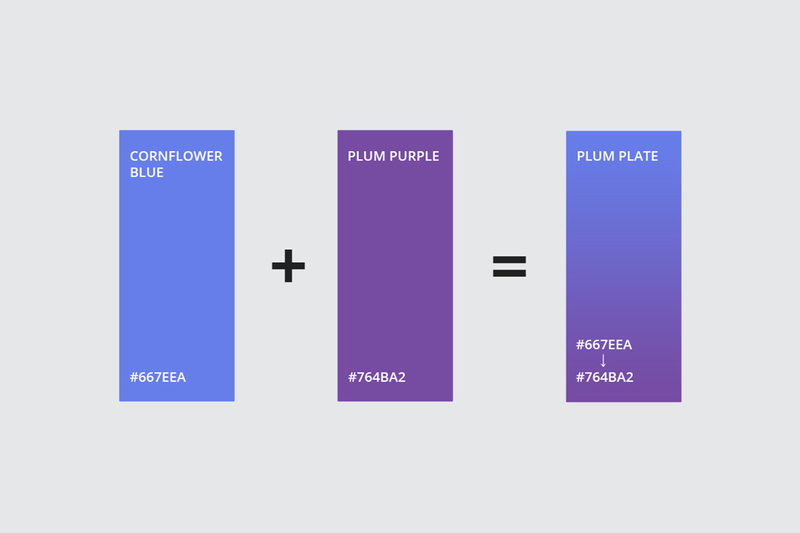 I opted for a simple sans serif typeface, which could match the overall visual design. 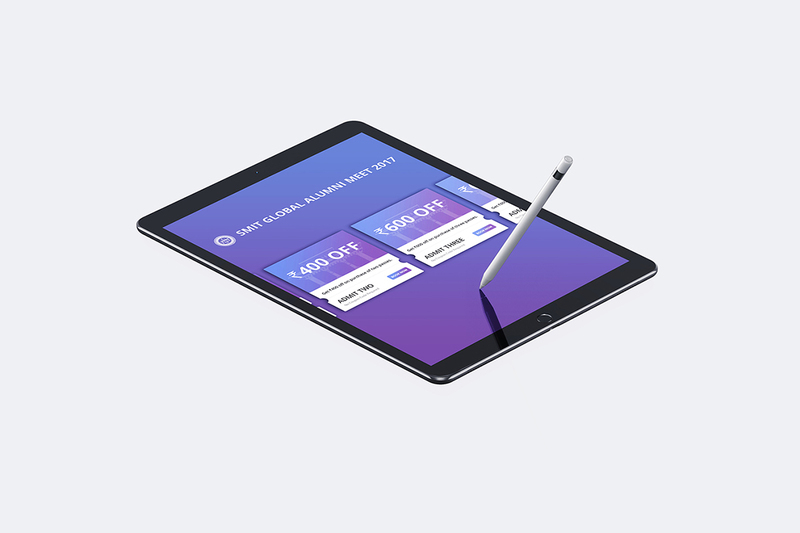 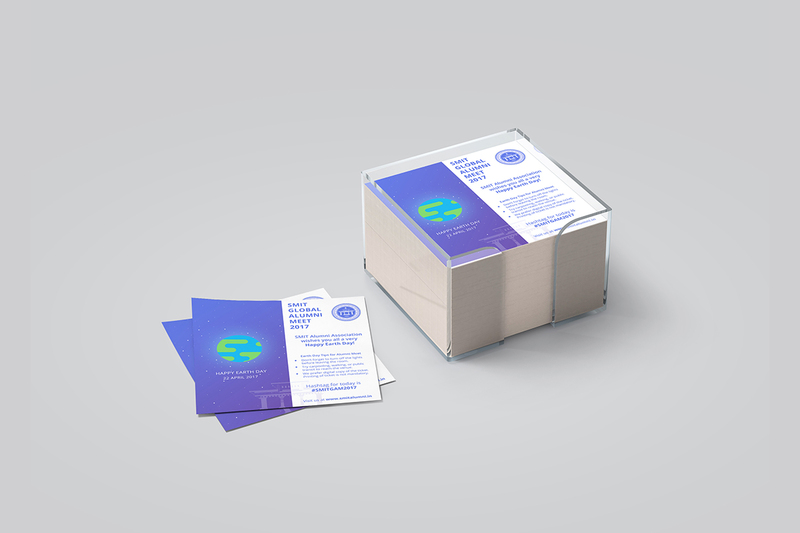 The gradient was chosen as it gave a unique, modern and refreshing look to the design and help create something that is colorful, playful and memorable.